Home - Running Advice - Stop Pausing Your Garmin! We’ve all done it haven’t we? You’re out for a run and you come to a road where you have to wait for the little green man before crossing. Instinctively you reach for your watch and press pause. Well, no actually. I haven’t. 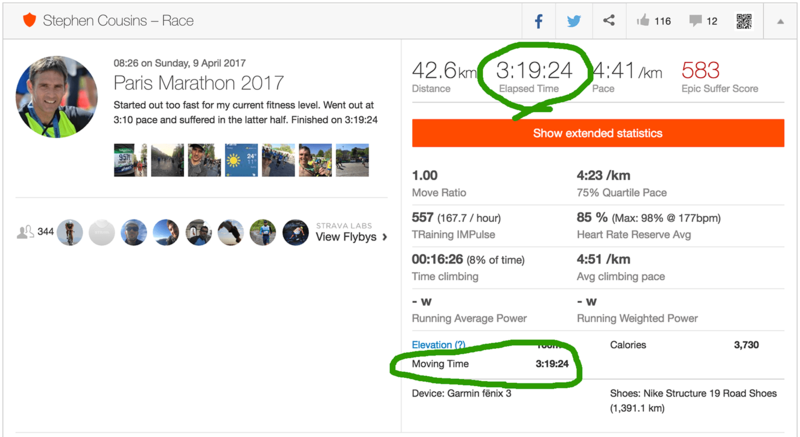 I have never…..ever, paused my Garmin on any run for any reason and neither should you. Allow me to explain why you shouldn’t be pausing your Garmin. I’ve been running on and off for many years, but I only ran my first race some 7 years ago. When I started, I used my phone to track runs. I would strap it to my arm and load up the Runkeeper app. Being the tech geek that I am I believed that having a voice reading out my stats was far superior to having an old-fashioned, eighties sounding beep going off every few minutes. Times change and peer pressure from the running community meant that I eventually submitted and bought myself a proper GPS running watch. But I’m so glad I did. 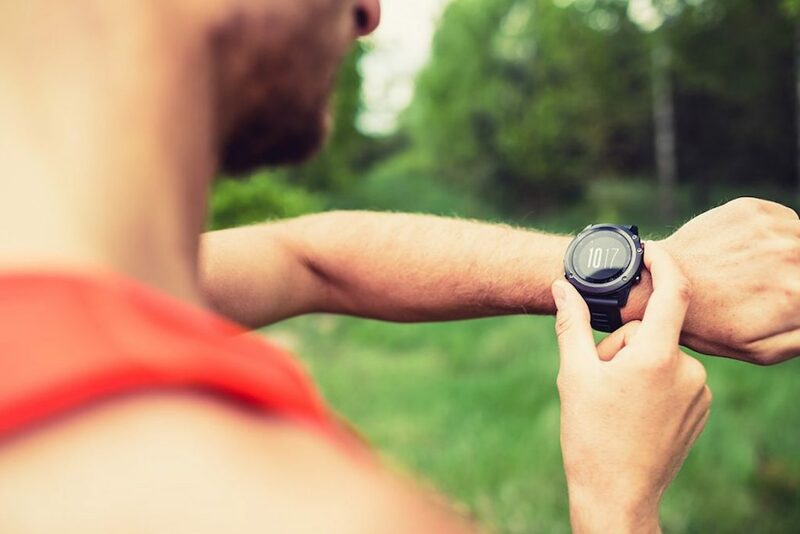 The out-dated beep sound can be forgiven because that negative is outweighed by the vast array of features found on modern watches by the likes of Garmin, Suunto and to a lesser extent Tom Tom. I can monitor my heart rate, cadence, ground contact time, vertical oscillation, as well as time, distance and pace of course. I can view a map of my route and see when the next Strava segment is coming up so I can choose whether or not to try and beat it. I can have any combination of these data fields visible on the watch face and the battery will last many times longer than my phone ever could. If you own one of these watches, and I’m guessing you do, then it stands to reason that you’re interested in stats. You like your numbers. You like to see how far you’ve run and how long it took you. You want to know what your average heart rate was during your run. So, why mess all that data up by pausing your watch numerous times mid-activity? I’ve spoken to lots of runners over the years, many of whom are ‘watch pausers’. When they stop running, for almost any reason, they pause the watch. This can either be done manually by pressing a button on the watch or by using the auto-pause feature found in many watches. Why? What reason do people have for this bizarre behaviour? Ok, so you want to know, for sure, what your average pace was whilst you were actually running. You believe this will give you a greater insight into how your training is going and what average pace you might be able to sustain in a race. But this is a lie. If you pause your Garmin when you come to a set of traffic lights or stop for a quick toilet break you are effectively ignoring this part of your session. You are pretending it didn’t happen, as though it’s not important. But it IS important. It’s a REST. Even if it’s just for 30 seconds, it’s a chance for your heart to recover, for the lactic acid to drain from your leg muscles and for your brain to reset motivation and focus. If you didn’t have any of these rest periods it’s likely you wouldn’t be able to maintain the pace you think you have achieved during your run. You know what I’m going to say. From the moment you press start on the watch to the moment you press stop, that is the time of your run. If you cover 20 miles and it takes you 4 hours, but you stopped for 10 minutes to chat to a friend part way through, it’s still 4 hours, not 3 hours 50 minutes. Traffic lights, toilet stops, tying your shoelaces, taking your jacket off, naps, a pint in that quaint looking country pub……..it’s all part of your activity. It all counts. If you want to see how long it takes you to run 20 miles, choose a sensible course, run 20 miles, don’t stop and don’t pause your Garmin. You don’t have Strava?? Of course you have Strava. Everyone has Strava and if you say you don’t, because you want to appear holier than thou, you’re lying and you’ve not only let the running community down, but you’ve let yourself down. You don’t need to pause your Garmin because Strava does a very good job of working all that stuff out for you anyway. At the end of your run, you will see an Elapsed Time, that is the total time you’ve been out doing your activity, and a Moving Time, i.e. the time you spent actually running. You get this regardless of whether you press pause or not. So stop pausing your Garmin! Ok, so you want to compare a 10 mile run from 6 months ago to a 10 mile run you did yesterday. You took 1 hour 30 minutes for one run and 1 hour 40 for the other. But you stopped various times for whatever reason during both runs and this has skewed the times for both runs. So by using pause, you eliminate this variable. I get it. But NO, just NO. There are sooooooo many variables it’s impossible and pointless to remove them all and removing just a few is equally futile. You can’t remove wind or temperature for example. Plus, see above, you’ve had a rest, the data you’re collecting isn’t comparable and isn’t a true reflection of what you can do or could possibly do in a race. That average heart rate you’re looking at is wrong, isn’t it? As far as I understand it, and I am prepared to be proven wrong, when you pause your watch, it stops recording everything during that time. So whilst paused, your heart rate settles as you chat or wait at the lights. When you restart your watch, your HR is lower than it would have been had you been continuously running, which is what you’re suggesting has happened by pausing the watch, thereby ignoring the rest period. So the average HR at the end of your run will be lower than it should be, giving you a false impression of your fitness. So, what you’re saying is that you want to run for an hour, regardless of how far you run in that hour. Urm, ok. Who does that and why? If you are someone who runs based on time and not distance then, ok, I’ll give you that. You run for one hour, pause your Garmin when you stop running, start it again. Then you can be sure you have actually run for one hour rather than run for 53 minutes and stood still for 7. But, your data will still be screwed and why not just run for 6 miles? Each to their own I guess. Arguably, it’s far more of a faff having to remember to press pause anyway, unless you’re one of these people for whom it’s instinctive. 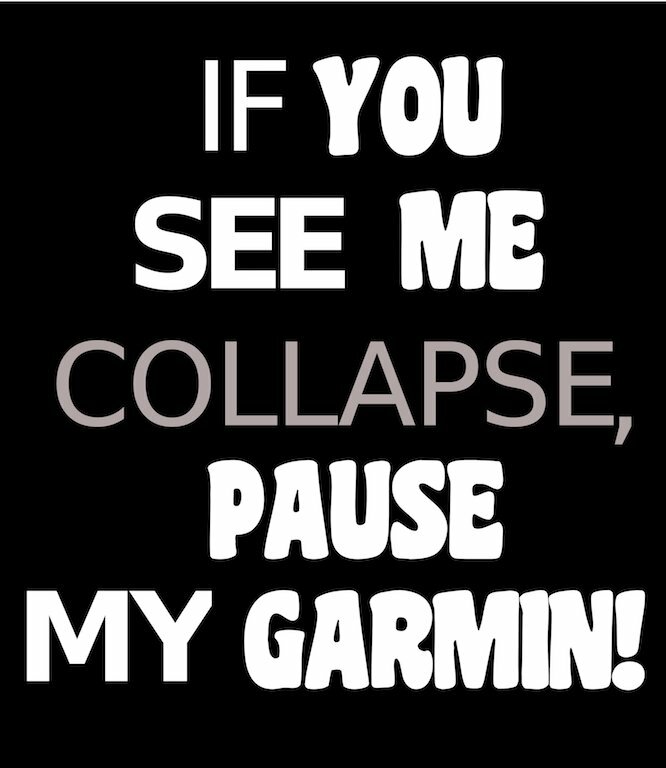 So don’t pause your Garmin. Just set it and forget it. Enjoy your run without overly stressing about your stats. They will be a far more accurate portrayal of your true level of fitness and ability as a result. While the points that you make are true, people tend to only really compete against themselves and their previous runs. The actual time and moving time time different if they pause so it’s not like they’re cheating. Live and let live. Run and let pause. Not sure why what other people do bothers you so much. I agree. So what if people pause their watches, what has it got to do with you? Never understood why people get so upset by what others choose to do. “Never understood why people get so upset by what others choose to do.” Because what Hitler was doing was pretty nasty. Apartheid was wrong. Domestic abuse is wrong, destruction of the environment is wrong and corporate tax evasion is wrong. So if nobody got upset about these things I’m not sure where we’d be. I’m here to point out to you that pausing your Garmin is a heinous crime and in my opinion should be punishable by imprisonment. That said, I don’t mind if you pause your watch really. I’m just havng a bit of fun. I pause my Garmin at stoplights or when the dog stops to relieve himself. I’ve also been on runs where I didn’t need to pause my watch. 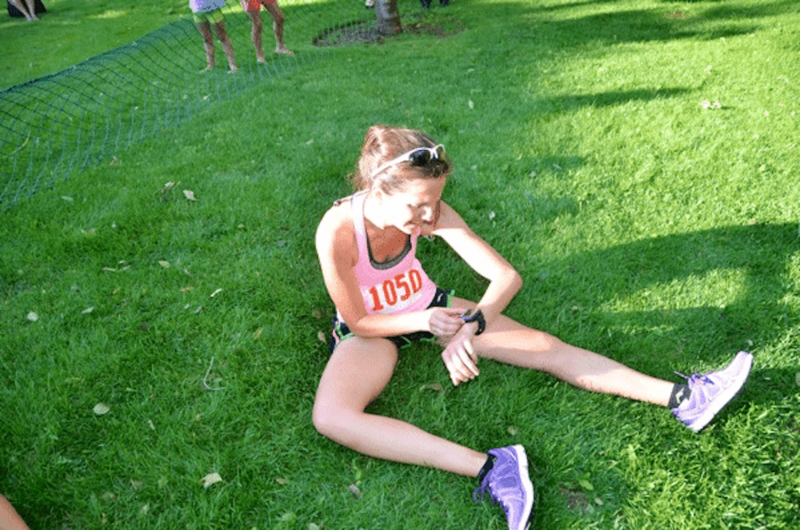 When I race, my times are always faster than my training runs…even if I’m trying to do a race pace training run. Unless you can show me some data on how it will improve my race times, this article is irrelevant. Plus, don’t tell me what to do. I just don’t understand posts like this. It’s like the person has no sense of humour. No willingness to see the tongue in cheek nature of the article. This reply is so overly aggressive it’s bizarre. Honestly, I don’t mind what you do. Pause your watch if you like or don’t. Do whatever works for you. I’m just telling you the data you’re looking at is wrong if you pause, but that won’t make you a faster or a slower runner. Training regularly and putting effort in will do that, along with eating and sleeping well. But this article is not about that at all. It’s about having a bit of a giggle. Jeez. I have a Fenix 5x. You don’t need to install any apps from Connect IQ. You need to go into the Garmin app on your phone and click the More tab at the bottom. Then click where it says Segments on the left. You will then get a choice between using Garmin or Strava segments. The only segments which will be loaded on your watch are ones you have ‘favourited’.